We started field school on Monday, June 5th with an introduction to who everyone was and what we were doing over the next five weeks. After that we watched a video on Johnson’s Island, called Rebels on Lake Erie, to give us some background knowledge of not only the site, but what went on there when it was a prison. 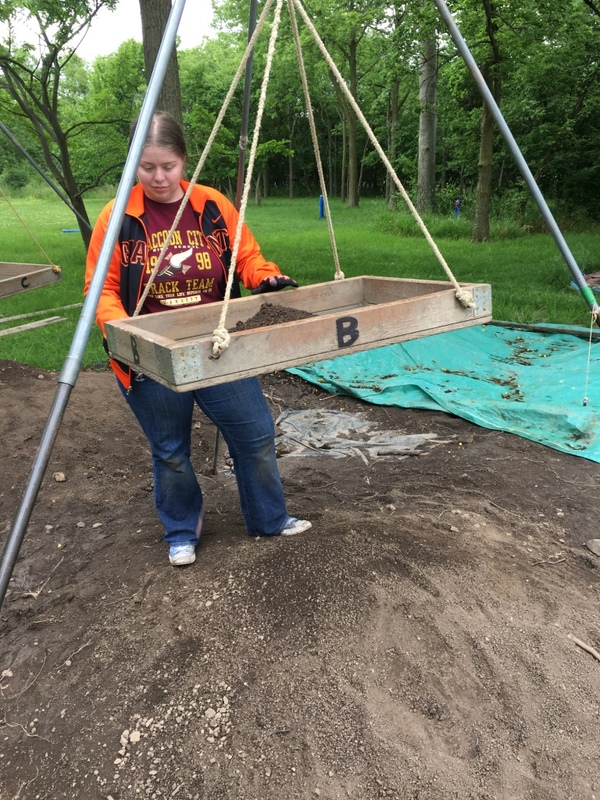 After the video, we were divided into groups and given separate collection bags containing a mixed assortment of artifacts that were found during this year’s dig. We were then taught how to organize and sort the different artifacts in order tally up how much there was for each material type. After that we were instructed on how to best clean/wash the artifacts (depending on the composition of the artifact in question). When the artifacts were dried/clean we then bagged the artifacts. Once we all became comfortable in the lab, we were then informed that we would go to Johnson’s Island the next day. 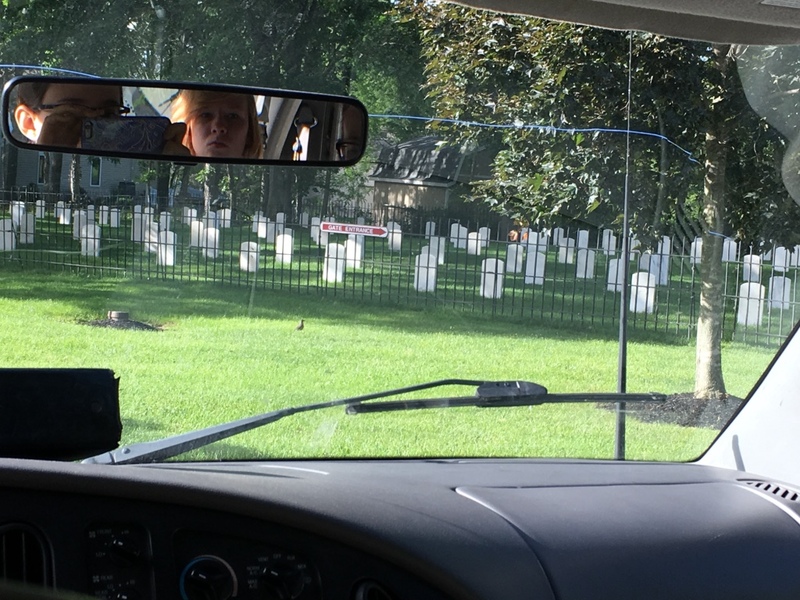 Before heading to the site we stopped by the Confederate Cemetery on the island. There we did an exercise on recognizing general patterns and hypothesizing about what these patterns might indicate. 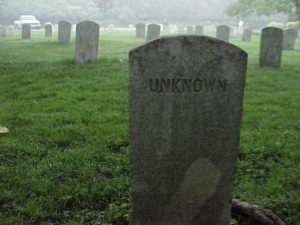 Such as ‘Why were the inscriptions on the tombstones facing South?’ → ‘Probably because the men buried there were Confederate Officers’, ‘Why do some of them have a certain symbol on their tombstone?’→ ‘Maybe it was a symbol of a club/organization they were apart in or to indicate a rank?’ and ‘Why do most of the tombstones have damage on their lower portions?’ → ‘Maybe due to weathering, grounds keeping or when they used rope to make sure all the tombstones were in a straight row.’. After that we went to the site and learned what we needed to do in order to properly excavate it. Over the first week we learned how to set up the dig area with screens and how to excavate a 2×2 m2 of the site in a controlled fashion. We scrape the ground with a trowel and check our measurements about every five minutes or so to make sure that we do not go past our sought-after depth. 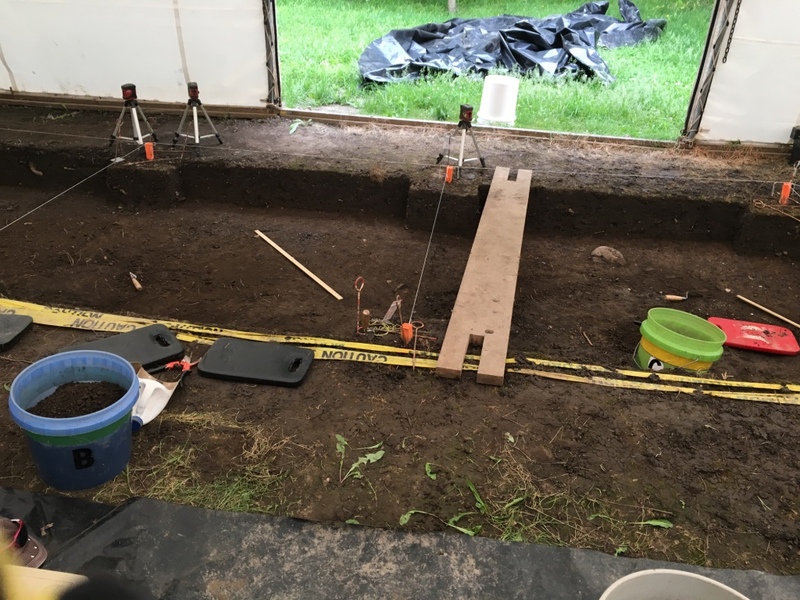 We excavated down two units in 2 cm increments until the units were level. After we filled our buckets with the soil we were sent to sift through it in order to find anything that we missed while troweling. This is done so the smaller artifacts that are initially missed while troweling can be seen and collected. If a Field Specimen (FS) is found, then we take that to Dr. Bush. We record and bag these important artifacts, such as certain types of specifically cut shell, separately. 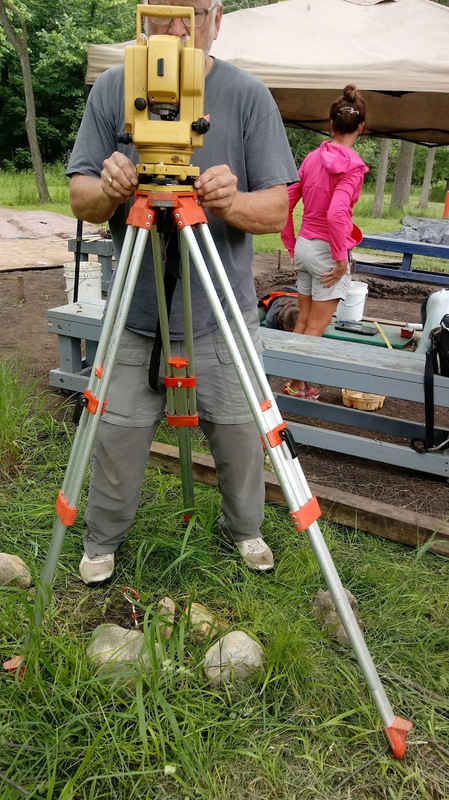 On Friday of our first week, one group worked on the latrine behind Block 8 while the other group learned how to use a total station transit. 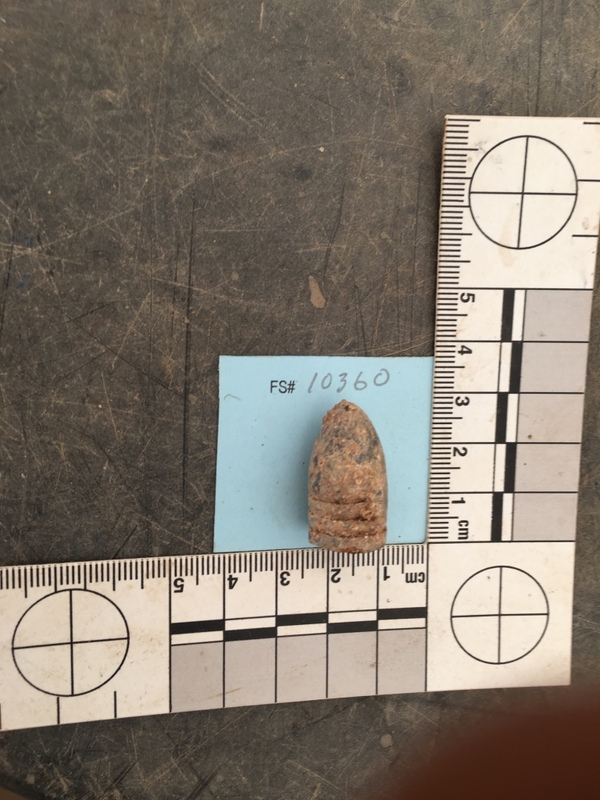 When a button was found in the latrine in situ the team using the transit learned how to shoot that in and get the provenience of the button before it was removed from its location. It is important to know the provenience of an artifact as it gives an exact location to refer to when studying the artifact’s association with other cultural remains found in the latrine. This entry was posted on Monday, July 3, 2017 at 10:42 am	and is filed under Field Reports. You can follow any responses to this entry through the RSS 2.0 feed. Both comments and pings are currently closed. fascinating information here. Johnson’s Island prison has always fascinated me, and was the subject of newspaper feature stories and photos. I have many photos from the 1980s, and spent hours researching the subject. I plan to do a post on my blog, Sometimes. The url is mumbletymuse.com in case anyone is interested.